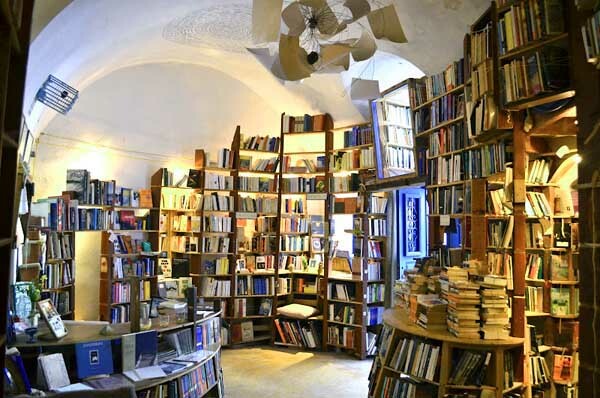 Nothing beats the pleasure of browsing a bricks-and-mortar bookstore. Not simply retail outlets; these buildings have soul, purpose, and unique charm. 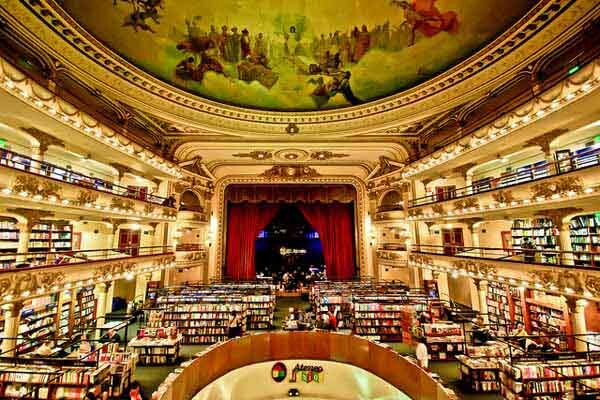 From a show-stopping Argentinean classic to an outdoor Californian book haven, these beautiful bookstores are worth the journey. 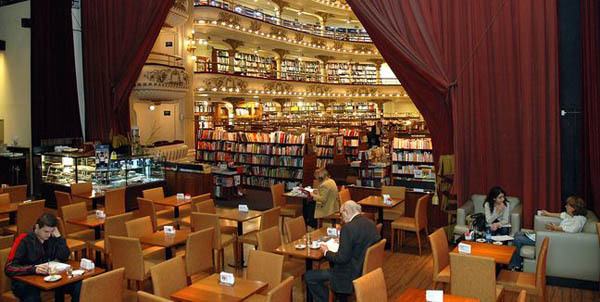 Buenos Aires’ Librería El Ateneo Grand Splendid features frescoed ceilings, stage curtains, theater boxes as reading rooms, and softy-curved balconies letting you view the majesty of this bookstore. The Teatro Grand Splendid hosted tango greats like Carlos Gardel in the 1920s before converting to a cinema—the first in the city to show movies with sound. It arrived at its current literary splendor after being saved from demolition in 2000. In 2007, the Gothic doors of this 13th century Dominican church swung open to book lovers. 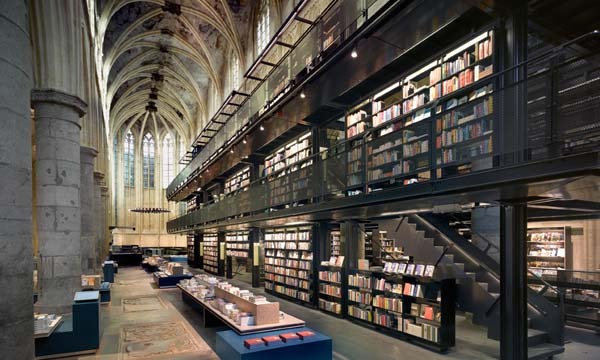 The incarnation mixes original vaulted ceilings and frescoes with steel shelves and a huge cross-shaped table. 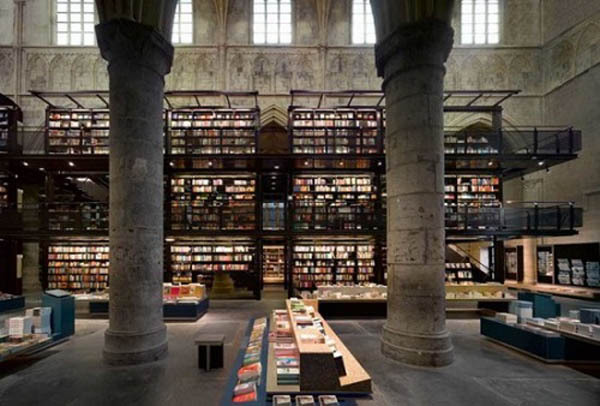 Previously known as "Boekhandel Selexyz Dominicanen,” Polare Maastricht has declared bankruptcy and a crowdfunding campaign is underway to save it. 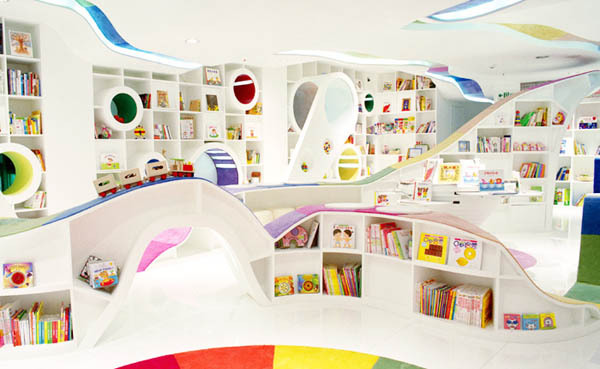 Even adults won't be able to resist this delightful, candy-colored children’s bookstore with its curved shelves and bright skylights. 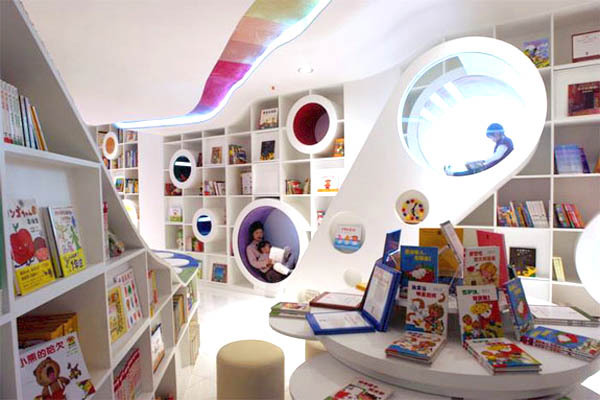 And those reading nooks are just calling you to curl up with a picture book. 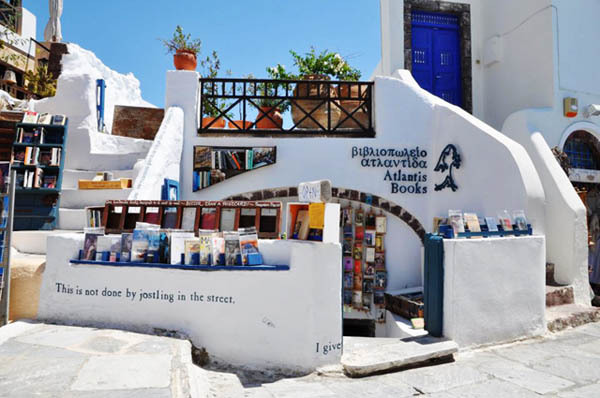 A group of friends from England, Cyprus, and the U.S. decided, over a bottle of wine, to build this magical bookshop on the island of Santorini in 2004. 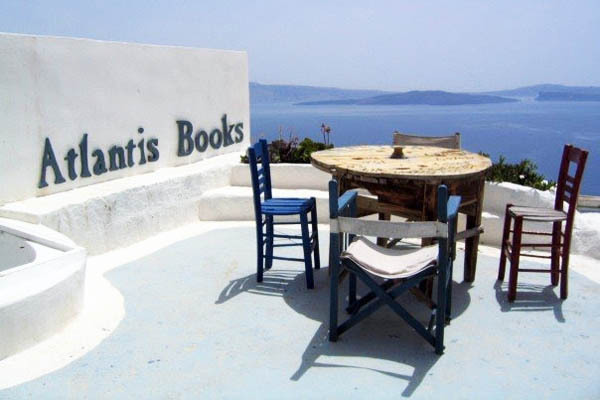 Atlantis hosts literary festivals, readings, and film screenings from its converted village house overlooking the Aegean Sea. 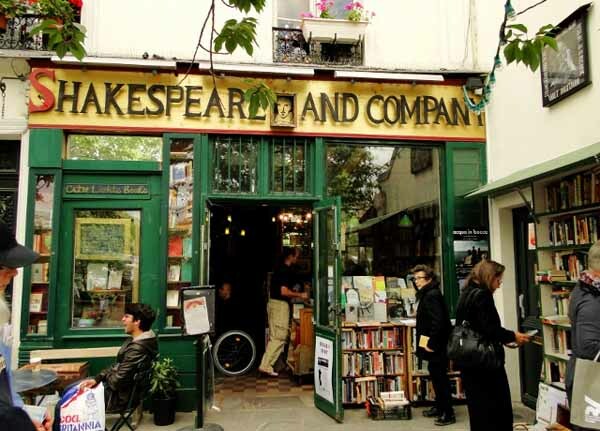 Opened in 1951, this English-language bookstore quickly became a Left Bank classic, attracting such luminaries as Allen Ginsburg, Henry Miller, and William Burroughs. 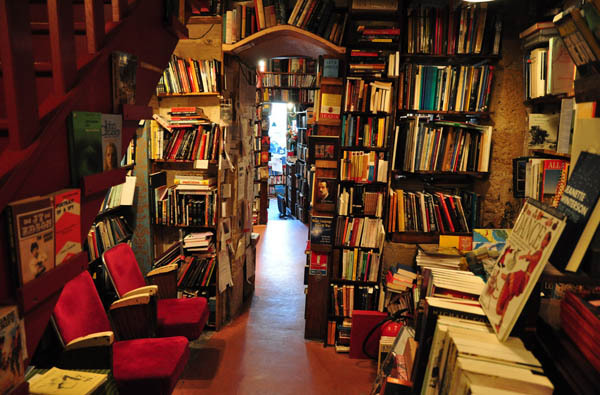 Originally a monastery, the 17th century building on the banks of the Seine boasts narrow, twisting hallways, piles of books, and some seriously comfy armchairs. 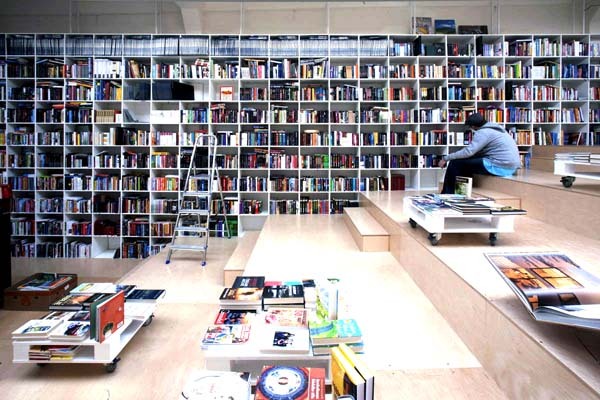 You’ve got to love the stairs leading up through the center of this minimalist book lovers’ haven. Plural showcases pure and simple design with its wall-to-wall bookcases and polished floors. 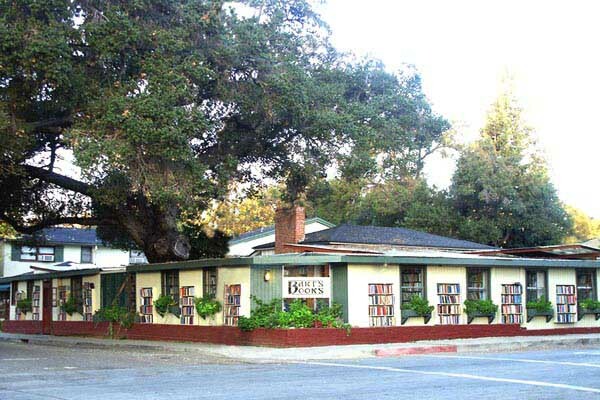 Combining California vistas and the great outdoors, independently-owned Bart’s began as an honor-system store where people would select a book from the piles on the sidewalk and place their money in a coffee can. 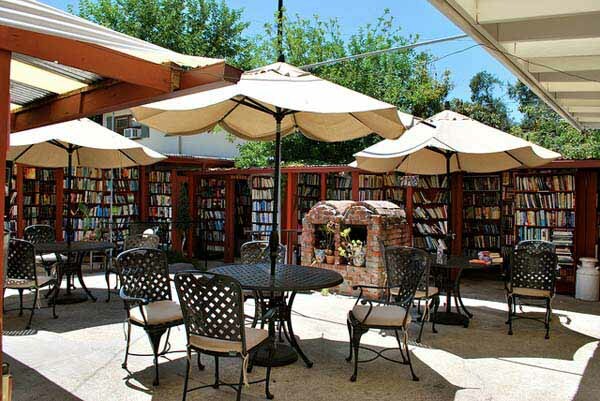 Today, the store has over 1,000,000 titles and an al fresco beauty beyond compare. 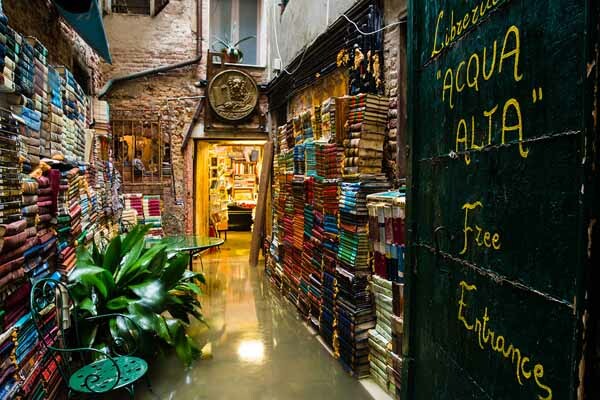 In this bookstore on the side of a canal in Venice, the books are moved from the floor to higher shelves during regular floods. 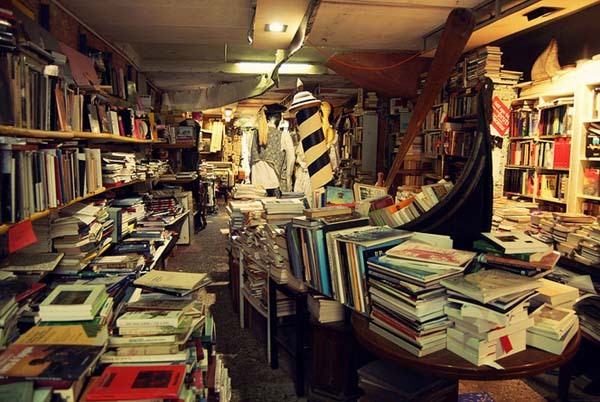 The quaint “Library of High Water” is literally overflowing with books and always open for business. 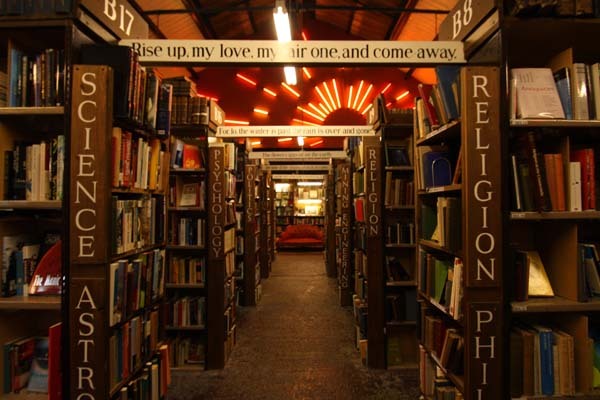 Established in 1991, Barter Books is a secondhand bookstore with fiction, children’s books, and antiquarian treasures. 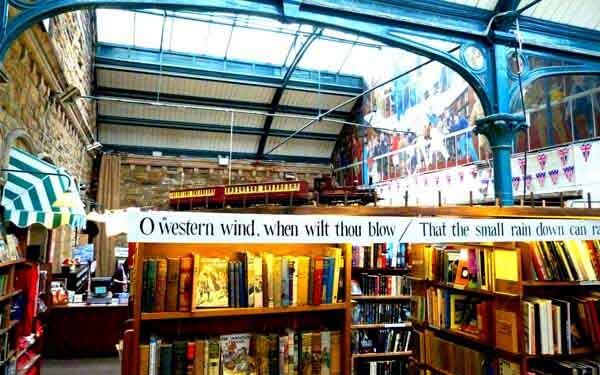 This converted train station features stunning vaulted ceilings, open fires in wintertime, 40-foot murals, and a model railway linking book columns on the main sales floor. 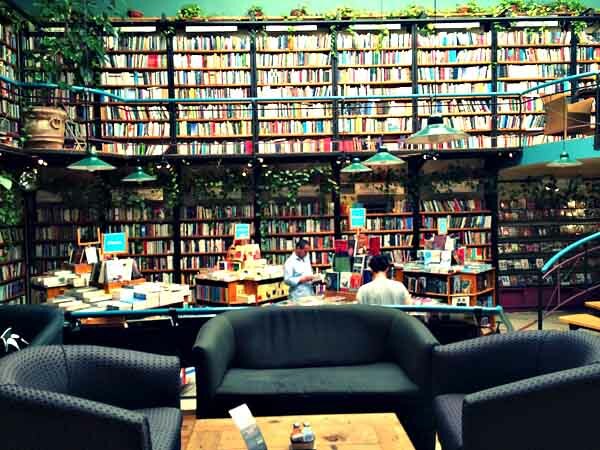 This luscious green Mexico bookstore has trees invading the shelves. 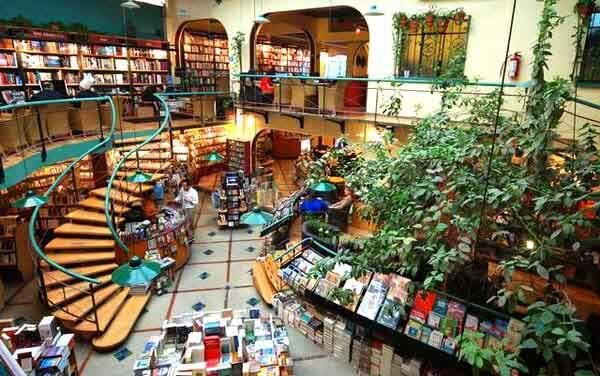 This branch of the chain Péndulo is two storeys of quirky design, plenty of books, and a café featuring live bands and musicians regularly. 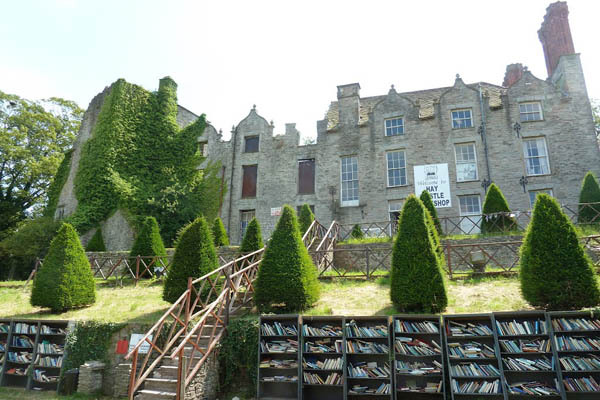 Miniature Welsh town Hay-On-Wye is home to more than 30 bookstores and an annual literary festival, but this gem of a bookstore is set within the grounds of the town’s Norman castle—all proceeds from book sales go towards the castle’s restoration. 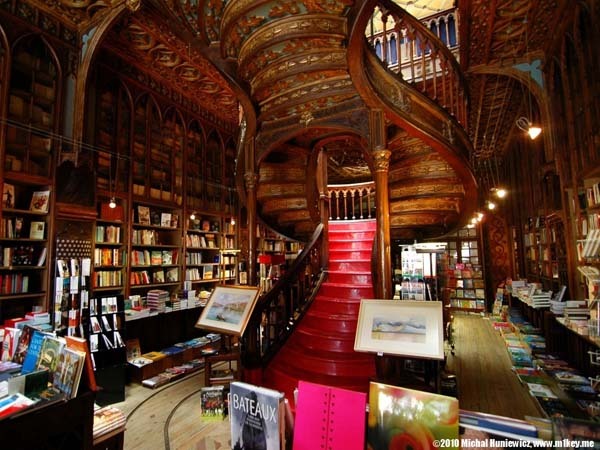 Featured many times in the Harry Potter movies, this gorgeous, ornate bookstore is filled with polished wood shelves, stained glass, carvings, and a staircase made for exploring. 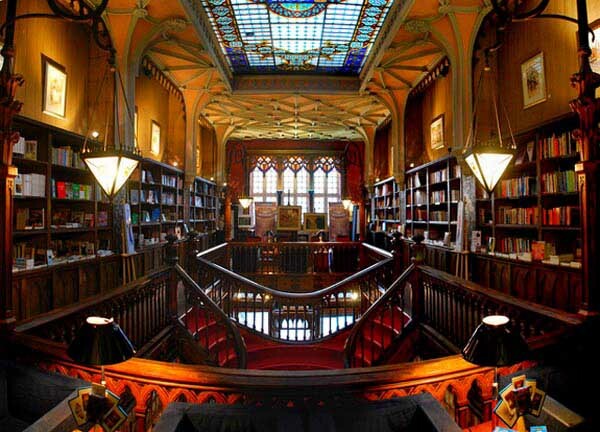 Rediscover the magic of reading at these 12 unique locations—they’re certainly worth getting up off your couch to visit. If your favorite is not on our list, tell us!